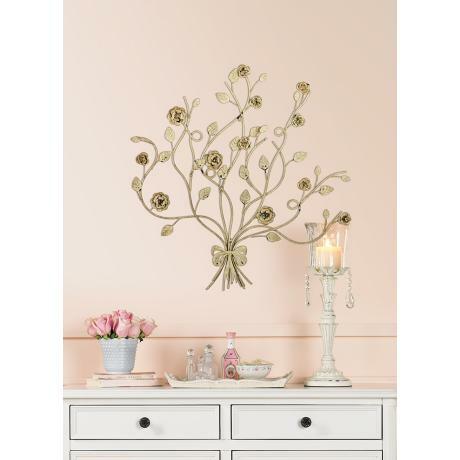 Enjoy the invigorating beauty of nature with this wall art piece. Makes for a perfect housewarming gift. 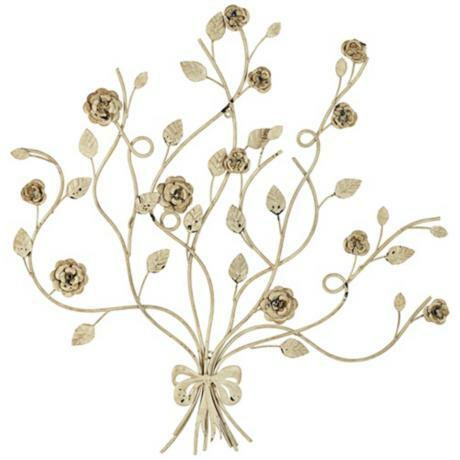 Spark up your imagination and a dull decor with tFloral Bouquetwall art piece that simulates the beauty of the outdoors. Give any space a new feel with this lovely floral wall art. A bow ties together the look in a soft vintage-inspired distressed cream finish. Constructed in metal material.